It has been a couple of years now since Samsung kick started what we now know as the phablet smartphone market, and we have now seen a number of different manufacturers bringing out hardware that tries to offer a similar experience to the Galaxy Note range. Now an event next week is expected to launch the Pantech Vega Note that could open a legal minefield. There are reports that Pantech is getting ready to unveil a new phablet device that is going under the name of Vega Note, and the specifications are reportedly going to include a 5.9-inch Full HD display with the quad core Qualcomm Snapdragon 800 processor under the hood clocked at 2.3GHz. Other specs are claimed to include 2GB of RAM along with 4G LTE-A support with the device running the Android 4.2.2 Jelly Bean operating system, but it seems the company may grab the attention of some other companies legal teams as there is also set to be a stylus as well as a fingerprint scanner on the rear of the device. 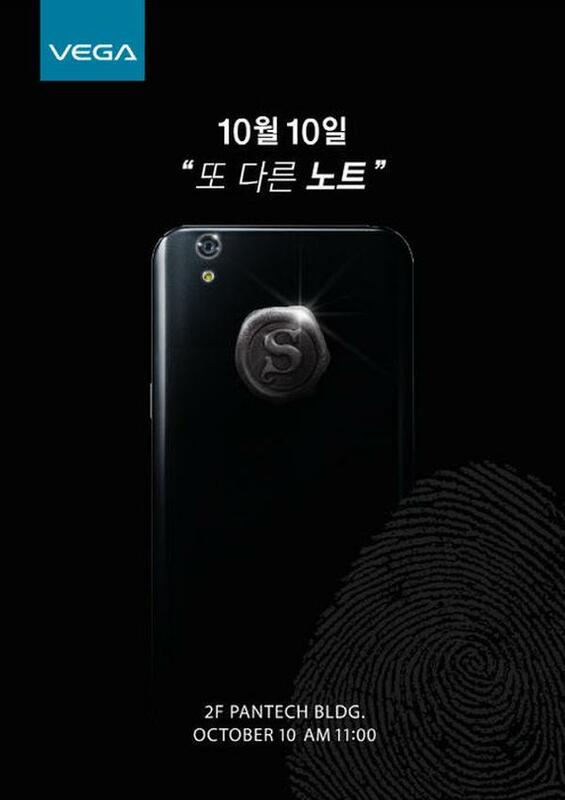 Put together with the naming of the device some feel the device could fall foul of Apple’s and Samsung’s legal teams, and the fingerprint scanner clues come from the promo advert for the event with suggestions the wax seal on the rear will be where it will be placed. It will be interesting to see which markets get access to the Pantech Vega Note as the device could prove a worthy rival to the Samsung Galaxy Note 3, and features a screen size that many Note fans were hoping for this year. Do you think the Pantech Vega Note will be worth a look? Source: Osen via Google Translate. Next article Next post: Samsung Galaxy Star Pro vs Micromax Canvas Fun A63: Winner is! Depends is Korea has corrupted its patent law to include ” end products”, beyond just “technology”. What is patentable under the pure regime is the way the digitizer pen and camera would work. Not their inclusion in a device. E.g. Patenting a laptop computer with a keyboard would be considered outrageous! !